the official opening ceremony hosted by Hotel Mohrenwirt. 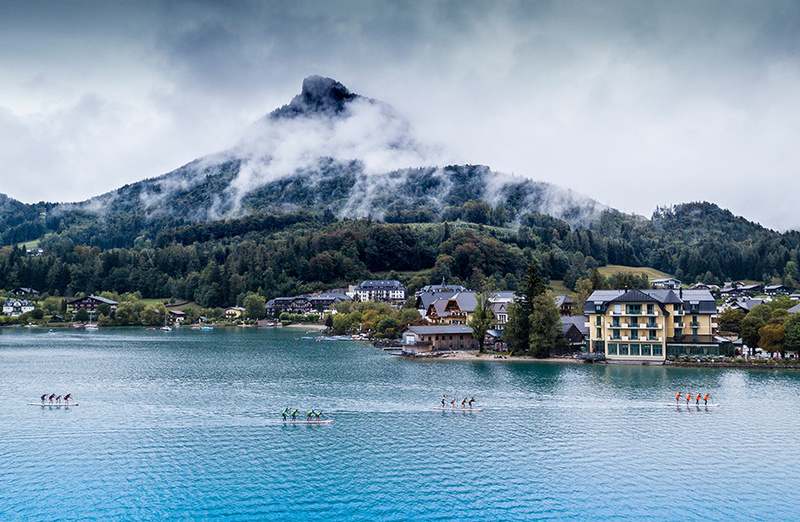 Located in the picturesque village of Fuschlsee, competitors were greeted to the sounds of a traditional Austrian zimmerman band and feasted on local specialities as the welcome drinks provided by Red Bull Austria flowed. 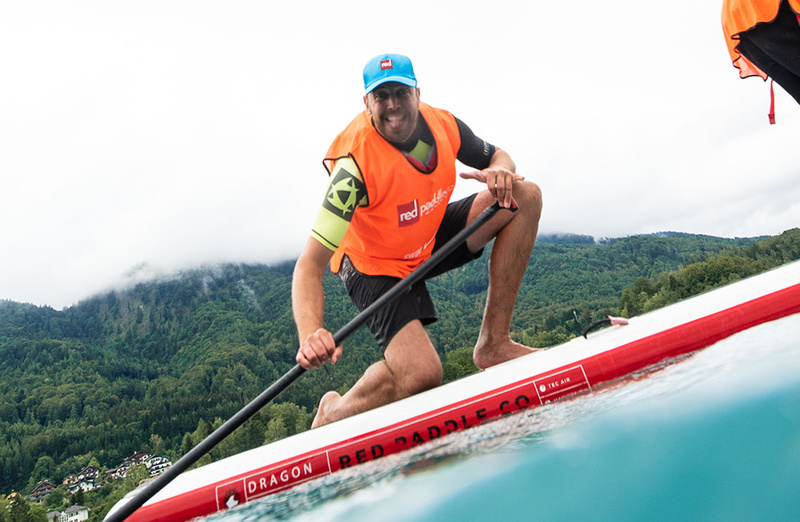 The stage was set for an epic two days of non-stop, fun fuelled SUP racing. However, this is a story of two halves and as a spirited day of non-stop racing came to a close, a night of partying dawned. The Red Paddle Co team ramped up the good time vibes as the Red Bull poolside party got underway at the bustling Fuschlsee event site. DJ Richie Mack took to the decks as the Daffy’s Gin flowed. Brought together through their love of SUP, the international crowd showed their worth on the dancefloor and in the true spirit of the DWC, competitors become comrades – Dragon warriors by day and a global community by night.The atmosphere was electric as team Paddle Barbados took over the decks for the final set of the night.